Good information! The problems these two customers were facing have many variables that will impact the best decision, so it was wise of them to not rush to a conclusion and get professional advice. Thanks for helping! TNX Michael. Future calls should be lots of fun and hopefully informative. This will be a good listen, week by week. Thanks for being such a fount of knowledge! You have helped me with several things through your newsletter, and I expect this podcast to help a lot more folks! I liked the story at the end, reminded of when I worked and we, not so much as me, would tell tails on our self's. If you liked this story about the black goo, you're going to love the one I recorded two days ago for podcast 2. TNX for sharing this success story about Stain Solver Anna! 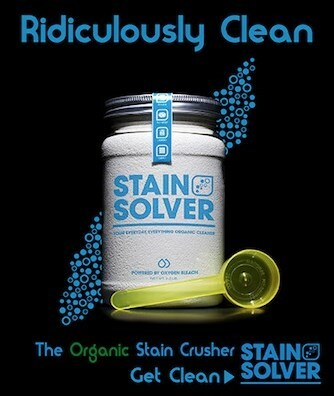 Stain Solver works on just about every water-washable surface. Hi Tim. Love the calls and the topics. The only thing I noticed was that at the beginning, you sounded like you were reading from your script. I'm sure you wanted to be well prepared, but it sounded like too prepared. Same as when you told the black goo story. 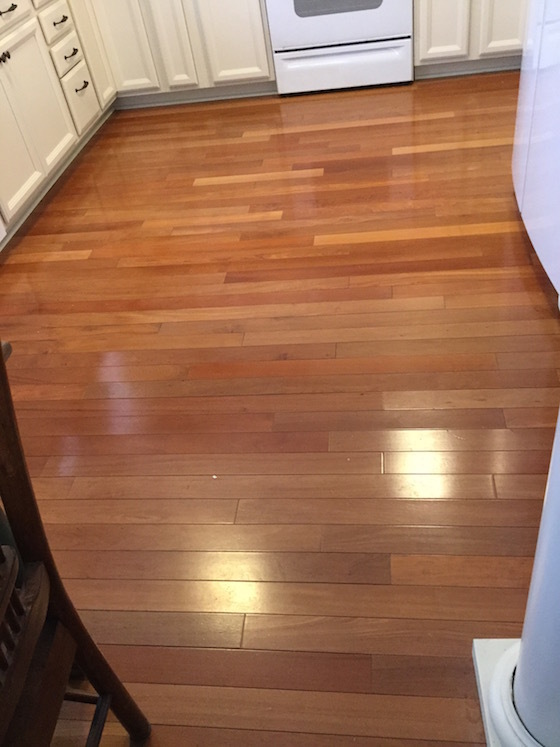 About wood vs tile: I put wood in the kitchen - big mistake. There are issues with spilled water, the danger of leaks, and animals. 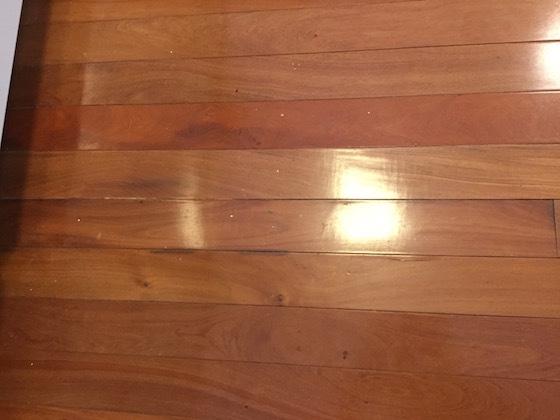 If I did ever put wood in the kitchen again, I would go with a floor that is finished after its installed, so that the varnish fills the tiny cracks between boards. I think a good compromise is tile in the kitchen and bathrooms and wood in the rest of the house. 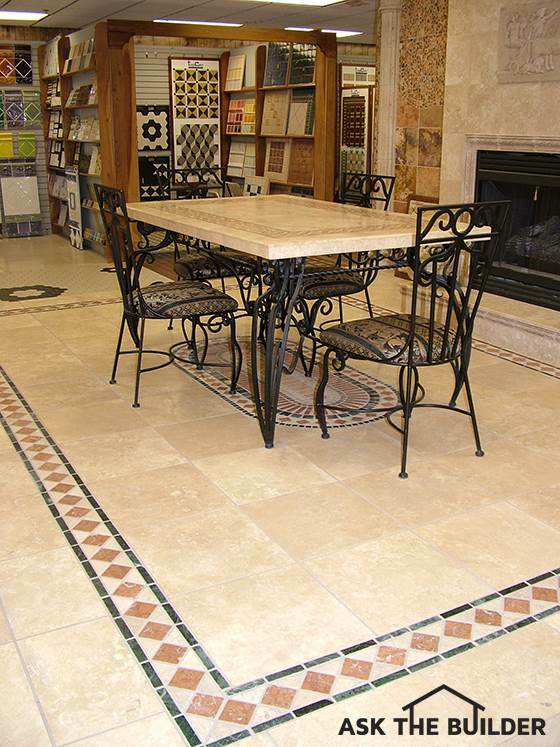 There are many ceramic tile choices that look like wood. If its too cold, how about radiant heating? Tim, you are right. Laminate flooring has come a long way. There are many nice choices these days. There are even some that claim to be water proof, although only usually for a period of minutes or hours. One new product I've seen is a vinyl or rubber flooring that the manufacturer claims to be 100% water proof. TNX Brian as we say in Morse. Yes, I was reading from a set of talking points, but it's really necessary to get the messaging correct. That's especially true in the story at the end. Without the script or talking points, there's a great chance you'll leave out a very important point. And if you are not crystal clear in your head what you're going to say, countless crutch words will slip in. The voice of experience talkin'. If I do a better job with the talking points, you just might not be able to tell! Only time will tell, but it ain't talkin'. Famous words from Kenny Chesney. Thanks for doing the podcast. I listen to several podcasts and enjoyed the information you shared. One suggestion would be to spend less time with each caller and add more callers in the podcast. This will present more topics that will interest listeners. I thought the calls in the first podcast were somewhat repetitive and could easily have been summed up in five minutes or less. You have so much amazing knowledge and it would be great to hear more topics in each episode.